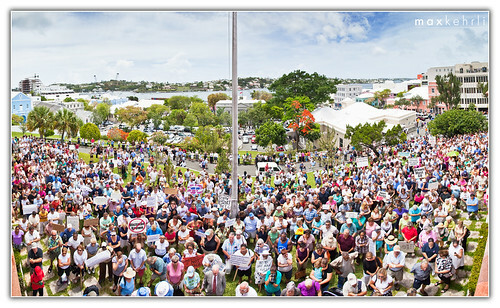 Brilliant panoramic image of the protest from the House of Assembly balcony by Max Kehrli. The composite image is several photos stitched together for a final 40 megapixel image. You can find more of Max’s superb images from today on Flickr.